In 2007, the Ministry of Health undertook a review of the “complementary medicines industry” in New Zealand, and found that a significant majority of companies weren’t complying with consumer protection legislation. The review was never made public, but when I saw it mentioned in a recent article in North & South magazine I asked the ministry for a copy. It has been released to me under the Official Information Act. Since it was written in 2007, both the industry and the regulations have undergone changes, so the review’s findings won’t be accurate now. However, I think it’s worthwhile looking at it to get a general understanding of the relationship between this industry and its regulators. The June edition of North & South has published an article that Peter Griffin and I co-wrote about the implications of a recent Press Council ruling. Excluding letters to the editor, this was the first time something I’ve written has appeared in mainstream print media. Filled with vain excitement, I purchased a magazine for the first time. 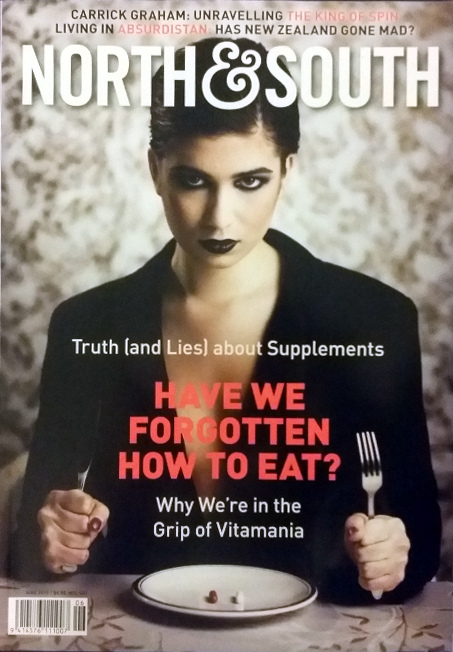 When I saw the cover of this issue, promoting a story by Donna Chisholm entitled “Truth (and Lies) About Supplements”, I realised that it was a much better reason for me to buy this magazine than just to see my own name in print. I wasn’t disappointed either, the story is a great summary of the issues surrounding supplementation, and it’s written from a New Zealand perspective. I’d recommend that everyone interested in this topic pick up a copy of North & South to read it. [Natural Products NZ executive director Alison] Quesnel’s confidence in the veracity of claims made in New Zealand may also be misplaced. A Health Ministry review of 263 industry websites in 2007 found nearly 80 per cent making illegal therapeutic claims. A later “compliance awareness programme” discovered that more than half the ads on websites for natural products made therapeutic claims, with a third of the websites making “high-level” claims. When trying to find this review online, the closest I could find was a Regulatory Impact Statement that the Ministry of Health published in 2010, about “The Development of a Natural Health Products Bill”. This document doesn’t contain the review, it only references some of its results. After Donna Chisholm told me that she found the information from her article in this document but didn’t have a copy of the review, I contacted the Ministry of Health to ask if it was available anywhere online, and if it wasn’t if they could send me a copy. They interpreted my email as an Official Information Act request, and within a couple of weeks the report appeared in my inbox. EDIT 2015/05/31 3:44 pm: As Thomas Lumley has pointed out in the comments, they were entirely correct to interpret it in this way. I just hadn’t thought of it as an OIA request at the time. Usually I use the great website FYI to make OIA requests. It’s a great service which I’ve mentioned before, that allows OIA requests to be made in a way that makes both the request and the response public. It was relaunched this year with sponsorship from the New Zealand Herald. This time, however, I didn’t realise at first that my email would be interpreted in this way, so the request and response aren’t hosted on FYI. However, I have uploaded the report and made it available here: Overview of the New Zealand Complementary Medicines Industry. I found it quite interesting reading, and a bit disappointing that it was never released publicly until now, when it’s 8 years old. Please keep that in mind when reading it. The report gathered information on businesses operating in this industry to produce estimates about the industry as a whole. The report includes information like the proportion of companies of various sizes (e.g. < 10 employees). Once again, remember this report is 8 years old at the time I’m writing this, so the state of the industry has certainly changed since then. Of the companies where it was possible to obtain specific details about their products, an assessment was made of the level of non-compliance with the current Medicines Act (1981) and the Dietary Supplements Regulations (1985). Non-compliance was defined only on the basis of the presence of therapeutic claims associated with the product and no attempt was made to determine any other aspect of non-compliance e.g. the presence of scheduled medicines. Dietary supplement-type products (intended for oral use) carrying therapeutic claims and other products (including foods, cosmetics and complementary medicines) carrying therapeutic claims (i.e. unlicensed medicines) all came under the umbrella of “non-compliant”. Medsafe. (2007, August 29). Overview of the New Zealand Complementary Medicines Industry. Any product that is promoted with therapeutic claims as defined in the Medicines Act (this definition was updated in July 2014) is considered a medicine for regulatory purposes. I’m not a lawyer, and I’ve never been involved in the approval process for a medicine, but my understanding is that means it needs to go through a process that requires rigorous evidence to support its safety and efficacy, then before it can be sold it must be approved by the Minister of Health. This is why products that haven’t gone through this process but still have therapeutic claims made about them are “unlicensed medicines”. Because the claims make them medicines for regulatory purposes, but they have not been approved. They might do what they’re claimed to do or they might not, but what they have in common is skirting the regulations that require them to back up claims of safety and efficacy. It also means that the same product could be treated as an unlicensed medicine in one context but be perfectly acceptable in another. For example, if I advertise bananas as a cure for cancer, then that’s an unlicensed medicine. If I advertise bananas as a tasty fruit, that’s perfectly acceptable. To get some rough idea of the completeness of this review, the Ministry of Health’s natural health products bill regulatory impact statement I mentioned earlier, which I believe was written in 2010 and is an interesting document to read, estimates that there are around 6,600 products and 450 companies in total. However, they also noted that the estimate of 6,600 products might be a significant underestimate and that the real number might have been as high as 20,000. Examples of low level claims included claims for providing relief from the symptoms of arthritis or psoriasis, relieving the symptoms of seasonal allergies such as hay-fever, relief of pre-menstrual tension, or temporary relief of the pain of gout, headaches or migraine. Higher level claims included claims for preventing, treating or curing serious diseases, such as cancer. Ministry of Health. (2010). Regulatory Impact Statement. The Development of a Natural Health Products Bill. The severity of non-compliance was also assessed. The severity of non-compliance was based upon the type of therapeutic claims being made by the company for their products and was divided into either high (claims of efficacy about a product for serious diseases and conditions including cancer, depression, diabetes etc.) or low (therapeutic claims likely to be appropriate for a low risk medicine). An “average severity” of the therapeutic claims made be [sic] each company was grouped into low or high. The non-compliant products (i.e. those carrying therapeutic claims) were further subdivided into cosmetic, food, dietary supplements and complementary medicines to provide some information about the types of products that were non-compliant. Cosmetics included products which were intended to have a primarily cosmetic purpose eg. moisturisers with anti-aging claims and food included products consumed in a normal diet such as fruit drinks carrying therapeutic claims. Dietary supplements included vitamins and minerals and products generally meeting the definition of a dietary supplement according to the Dietary Supplements Regulations 19851 apart from the claims made. Complementary medicines included products that did not fall into any of the above categories, including creams and balms with no primary cosmetic purpose and herbs with a traditional history of use as a medicine. 1 Dietary supplement means any amino acids, edible substances, foodstuffs, herbs, minerals, synthetic nutrients, and vitamins sold singly or in mixtures in controlled dosage forms as cachets, capsules, liquids, lozenges, pastilles, powders, or tablets, which are intended to supplement the intake of those substances normally derived from food. Unsurprisingly, as this was a review of the “complementary medicines industry” and “complementary medicines” was the catch-all category, most non-compliant products were in that category. I’m not sure why the total number of non-compliant products is lower than the 6253 non-compliant products reported earlier in the review. In a subsequent compliance awareness programme, the websites reviewed contained advertisements for over 12,000 products with just over half of these advertisements including therapeutic claims. Out of 355 websites reviewed as part of this programme, 107 were found to be making high-level claims. That’s roughly 30% making high-level claims, which is higher (although possibly not significantly) than the 26% found in the review. Overall non-compliance is “just over half”, compared with 78% from the earlier review. So it’s not entirely clear what impact this “compliance awareness programme” had, but if I had to guess based on what information I have it seems it may have resulted in some low level claims being removed but had no effect on high-level claims. I asked for this in my OIA request as well, but no written report was prepared so I was just sent the raw data. Unfortunately, this came in the format of a spreadsheet saved as a PDF. It’s text searchable, but given the format and inconsistencies with how results are reported within the file it’s not easy to tell what it says about the industry overall. Also, presumably as it was only ever intended to be an internal document, it contains some strange stuff. For example, it reports Deer Velvet NZ as having 3 out of 1 non-compliant complementary medicines and notes that Crombie and Price “Have homeopathic lollipoops for kids”, whatever that might mean. It has long been recognised that the regulation of natural health products is inadequate and working on achieving new legislation has been underway for close to 20 years. 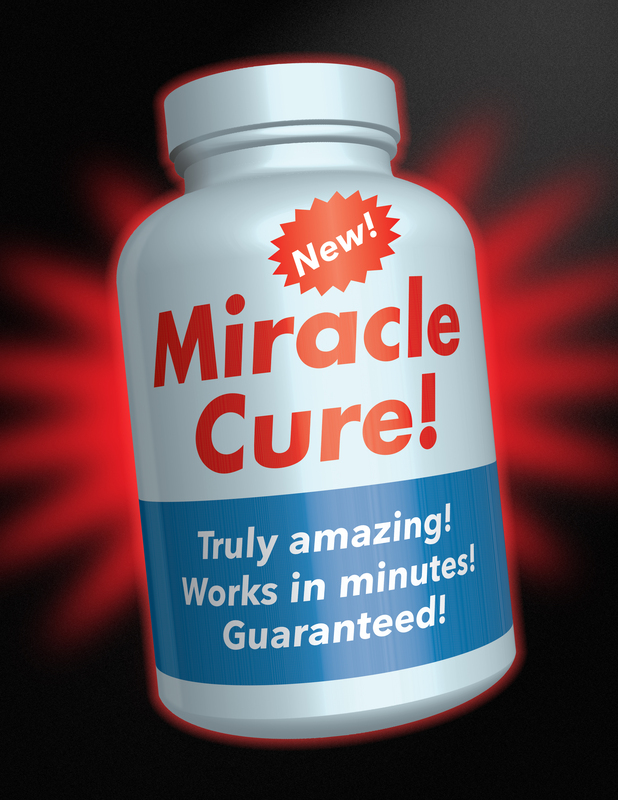 Because new legislation has been anticipated, only limited amendments have been made to update existing legislation, and enforcement activities have largely been limited to dealing with the most serious breaches, such as promoting a product as a cure for cancer when that product is not an approved medicine, or supplying a product that purports to be a dietary supplement but contains undeclared ingredients that are prescription medicines. Enforcement actions usually arise following investigation of a complaint or concerns about product arriving at the New Zealand border. Enforcement is complicated because the interface between the Medicines Act and Dietary Supplements Regulations is not clearly stated. As a consequence it is usually unclear whether non-compliance should be dealt with under food or medicines legislation. The outcome is generally destruction of product or removal from the market, rather than prosecution. The penalty for non-compliance is extremely low ($500) in comparison with similar legislation and does not act as an effective deterrent. Enforcement of the Dietary Supplements Regulations has long been problematic due to the large number of breaches relating to the prohibition of therapeutic claims. Past attempts to raise awareness and enforcement of the legislation relating to natural health products met with resistance from both suppliers (who fear they will lose sales) and consumers (who fear they will lose access to products they consider are important to their health and well-being). There is no provision in the Regulations for a register of dietary supplement products or suppliers. Hence it is difficult to trace suppliers and take appropriate action to protect the public from harm when safety issues arise. This was written 5 years ago. In that time, new legislation has continued to be anticipated: the Natural Health and Supplementary Products Bill was introduced in September 2011 and passed its second reading in March 2013, but hasn’t progressed since then. Throughout this period, enforcement of consumer protection legislation to prohibit misleading therapeutic claims has remained very low. Even in cases where I’ve submitted complaints, months have often passed before any action was taken by Medsafe. Before completing the product notification, the product notifier must make available on an Internet site, in respect of each health benefit claim made for the product, a summary of the evidence that the product notifier relies on to support the claim. I think that part of the bill is fantastic, but I don’t think it will be directly useful to consumers. Surely only a very small minority of consumers will bother to go online to check what evidence is used to support health claims. In cases where claims are supported only by evidence of traditional use, I think a large number of consumers could be misled, and that seems to me like a pretty big loophole in a piece of legislation intended to protect consumers from misleading health claims about “natural health and supplementary products”. I hope that the bill will pass soon, so that the “natural health” industry will not continue to be effectively unregulated as it has been for years, but I also hope that before this happens the bill will be fixed so that the only evidence permitted to support health claims is evidence that actually supports those health claims. Thanks for this post. It’s an important issue. (b) does not need to refer to this Act. Thanks Thomas, you’re absolutely right. I didn’t mean to imply there was anything wrong with them interpreting my email as an OIA request – as you point out, that really is what it was. It’s just that I wasn’t thinking of it as one when I sent the email.